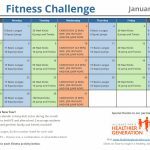 Help your group recognize American Heart Month this February by scheduling fun tournament games to play throughout the month that will keep them active while exercising their heart. These activities can be altered to fit any group age, from young kids to teens, and senior residents. Instead of providing a regular bowling activity, organize a fun bowling tournament for your group. Use your regular bowling pins, or a fun jumbo bowling set for the tournament. Before the activity, divide your group into teams, and have each team keep their own score using bowling score pads. Be sure to award the winning team with trophies for their victory. 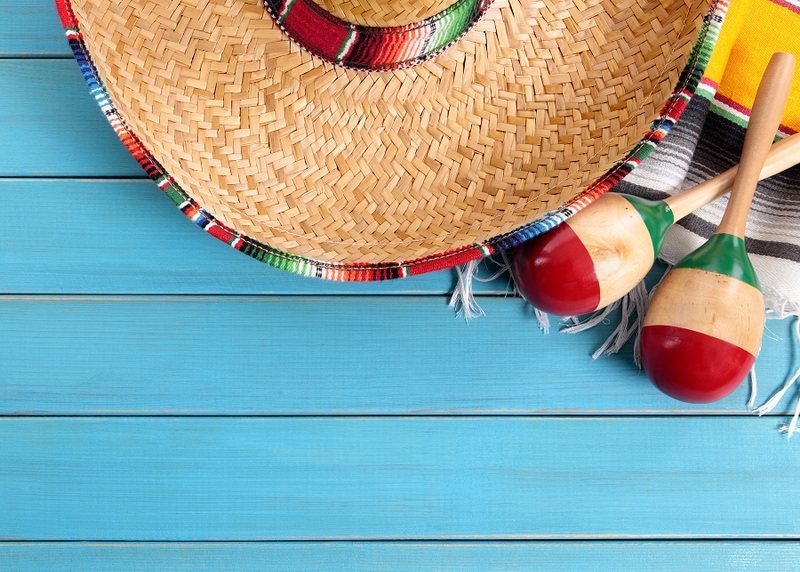 If you have many teams who want to participate, in which one bowling set would not work, be creative and create your own bowling sets, like using 2-liter bottles for the pins and rubber balls as the bowling ball. Encourage your group to channel their inner Arnold Palmer or Jack Nicklaus as you host a fun putt putt tournament. 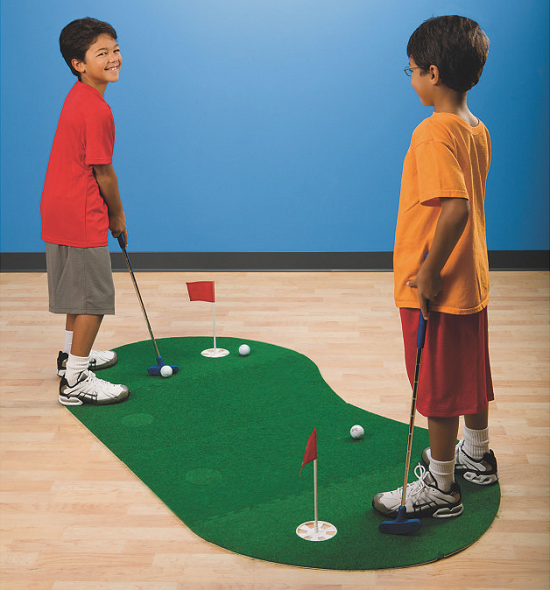 To play, simply set up your choice of golf putting green or automatic putter or a plastic putter cup in your Activity Room for them to try to make putts. To make the game easier for older adults, create a larger target for residents to putt into. For example, invert a large box and place it on the floor. Then cut a large hole in the side of the box so residents can putt their ball so that it travels into the large hole. Award a point for each putt that is made. 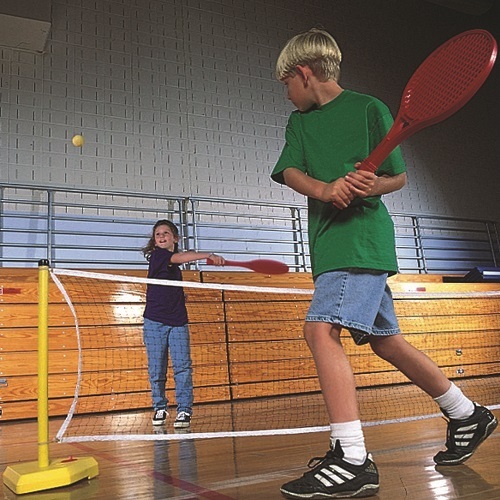 Set up a tennis net in your Activity Room for your group to play a fun game of seated tennis. Simply pass out plastic tennis rackets for them to hit a soft foam ball back and forth over the net. 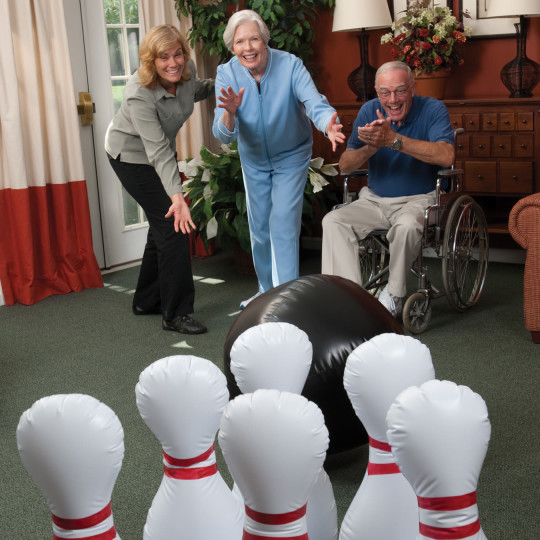 If you need to slow down the game a bit for older adults, consider using an inflated balloon instead of the foam ball. For the tournament, have teams play one another, and then have the winners of those games play each other until there is only one winning team left. Turn your Activity Room into a fun place to play a Frisbee game. 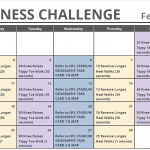 Set up a few targets – below are a few suggestions. See which team can successfully hit their target. Award points for each successful throw. 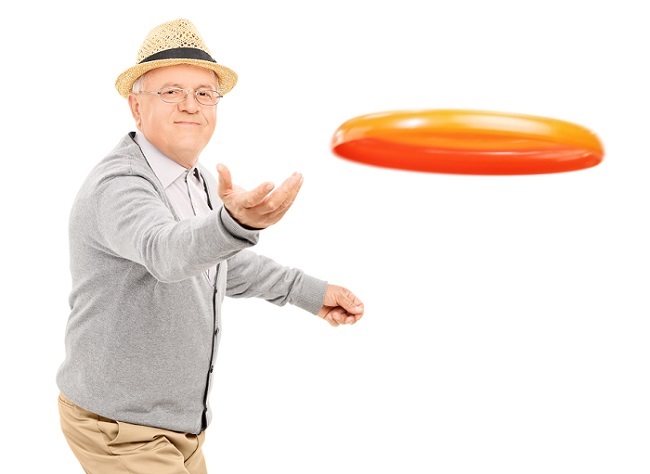 As an alternative for young kids or seniors, instead of using the common plastic Frisbees, provide foam or fabric discs. 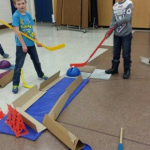 During this hockey season, encourage your group to try the fun sport of floor hockey in your Activity Room. To play, pass out pool noodles (which can be cut in half) for them to hit a foam ball or inflated balloon into their goal. The easiest way to play the game for seniors is to have two rows of chairs facing each other with about 5 to 8 feet in between the two rows. 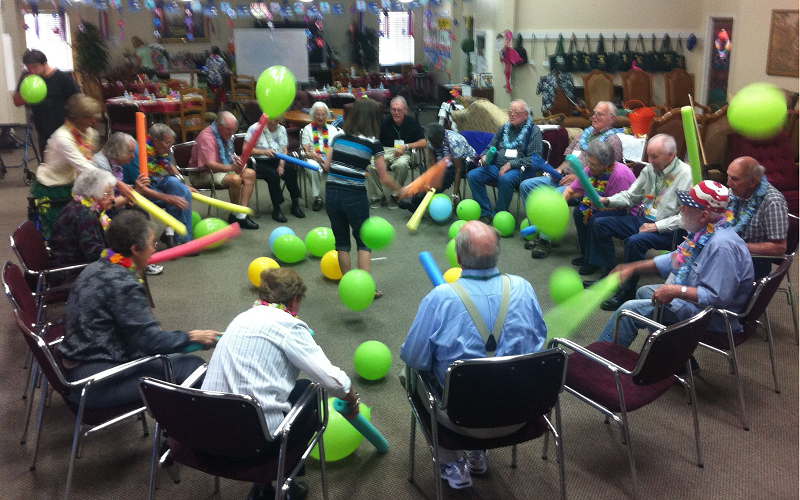 Once the residents are seated in their chairs, have them use their pool noodles to hit the ball or balloon so that it exits at either end of the row. (You can have the men play against the women, where the men try to hit the ball so that it exits from one end of the rows, while the women try to hit the ball so that it exits from the other end of the rows.) See the photo above from Aspen Senior Day Center in Utah. Have your group play fun one-minute contests against one another to see who can complete the task in under a minute. 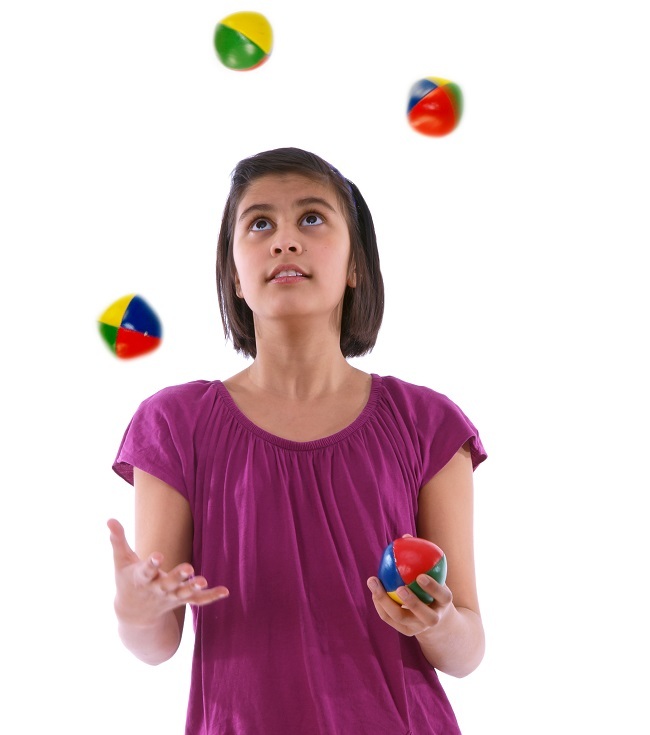 For example, pass out ping pong balls to see who can bounce the most balls into a container, or pass out juggling balls to see who is first to juggle for 5 seconds without dropping the balls. 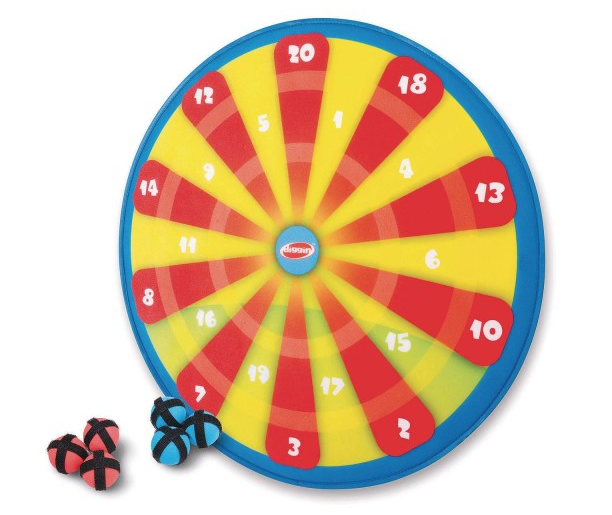 Host a fun dart tournament for your residents using a Velcro dart game. To play, set up the Velcro dart board and have residents toss Velcro balls from behind a line. 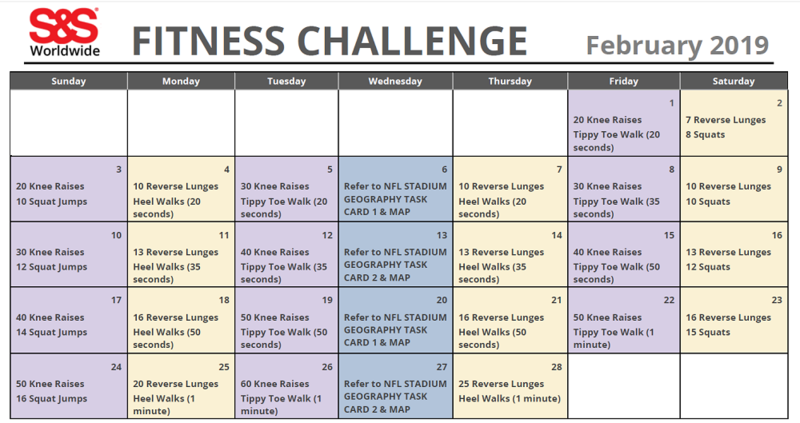 Keep track of points, and award a fun prize to the winning team. 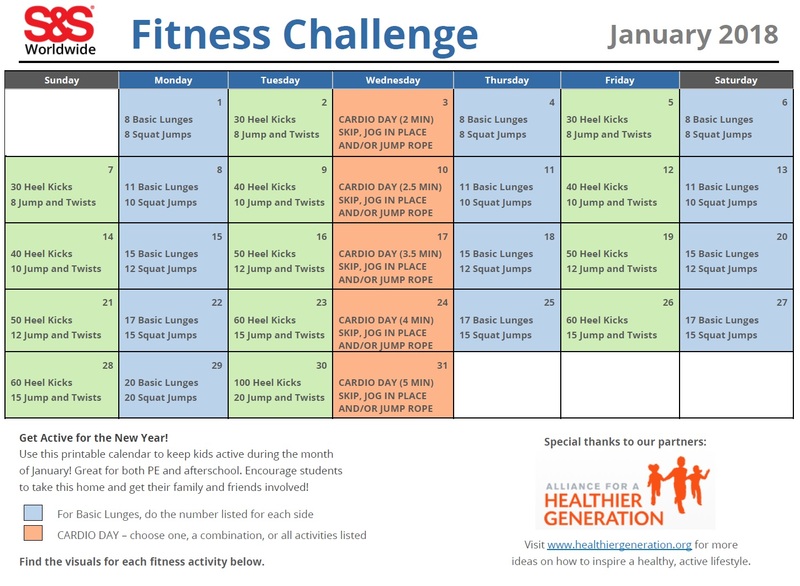 This entry was posted in After School, Education, Holidays & Observances, PE Central, Senior Activities and tagged afterschool, american heart month, heart month, notjustbingo, physical activity, Physical Education, rec program, recreation, senior activities, senior residents, sport activities kids, sport tournaments, tournament ideas by S&S Worldwide. Bookmark the permalink.